NEW YORK — On Wednesday, January 16th, advocates from #MuteRKelly, Black Women’s Blueprint, Care2, Color of Change, CREDO, Girls for Gender Equity, NOW-NYC and UltraViolet, will rally outside Sony Music’s HQ in Manhattan, calling on Sony Music and its subsidiary, RCA Records to immediately drop R. Kelly in the wake of the Lifetime docu-series Surviving R. Kelly, which details Kelly’s decades of sexual abuse perpetrated against young Black women and girls, and those in the music industry who have not only enabled him, but profited from him. SPEAKERS INCLUDE: Joanne N. Smith, Founder & President of Girls for Gender Equity; Jamilah Lemieux, Writer/Cultural Critic (“Surviving R. Kelly”); Jade Magnus Ogunnaike, Director of Organizing, Color of Change; Sharaya Tindal, Communications Campaign Manager, Black Women’s Blueprint; and Natalie Green, Spokesperson and Communications Manager, UltraViolet. 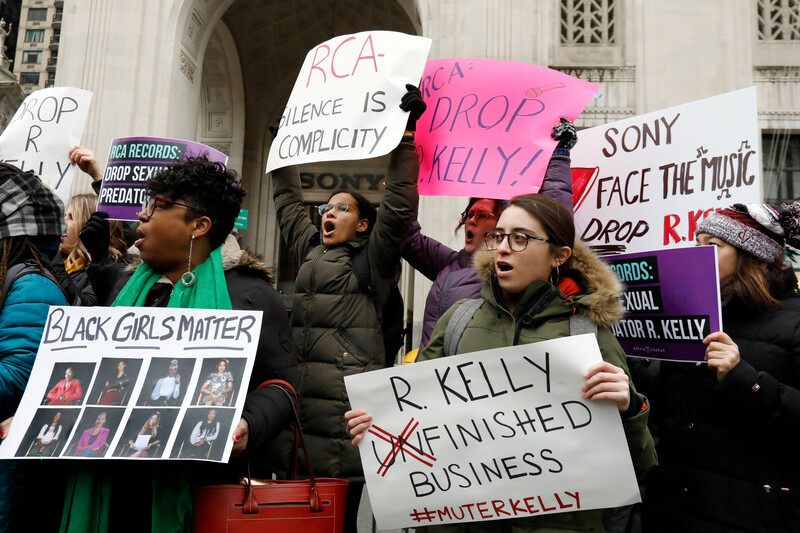 At the protest, dubbed the “Rally to MuteRKelly/Protect Black Girls,” advocates will deliver petitions signed by more than 217,394 people demanding RCA Records drop R. Kelly. The protesters will also present Sony Music and RCA Records with a “Record Label of Shame” award.